I've been mucking around with a 5.7Mtr Waterfoil for about 1 year now. 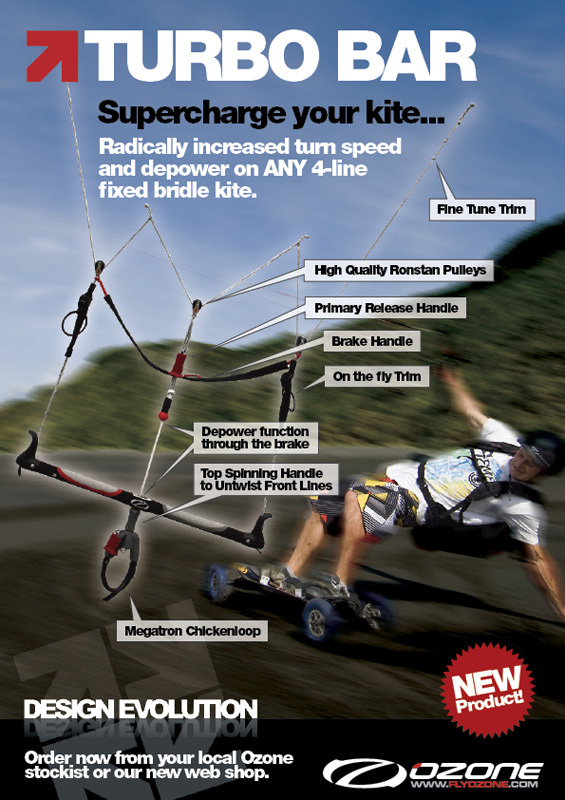 It's a great low wind land boarding kite & flys really well on handles. 1.Has anyone here tried making a crossover bar or any advise on a good bar set-up? 2.Has anyone tried putting a deflation zipper into one & did it work? If I do remember well Kane Hartill and Stefanie Gamble ("Real PL" riders from NZ) at the time used it on the water on a double line setup including a crossover system. It was the very early days of the Arcs as he was constantly switching from Arc to C-Quads to Waterfoils with bars or handles (yes, during kitesurfing competitions!). By the way, any of you guys have pictures of this (early 2000)? Avo, still a big fan! I'd love to see some of that footage too. I'm defo gonna put the deflation zipper in.I'll take a few pick & let ye know how i get on with it. Wonder would one of these work with it ... ??? Waterfoils are interesting kites. I fly it for awhile with a three line setup on a bar, with one brake line. The brakes had to be completely slack and preferebly with a sliding ring, otherwise they act conteractive to the steering with the front lines. The brake line was only for safety and upside down starting. Any but the smallest tension on the brakes and it's speed through the window reduses significantly. The experiense with my 3.6 is that it flies best on handles due to its crossover bridle. Steering mainly with the front lines with brake line as optional steering input. But steering with the brakes reduce power. I don't beleeve the ozone bar in the pic will work so good, cause the brake line steering input slows it down to much.